Like a tuxedo, black and white never goes out of style. Add a pop of red and you've got the Tuxedo collection. 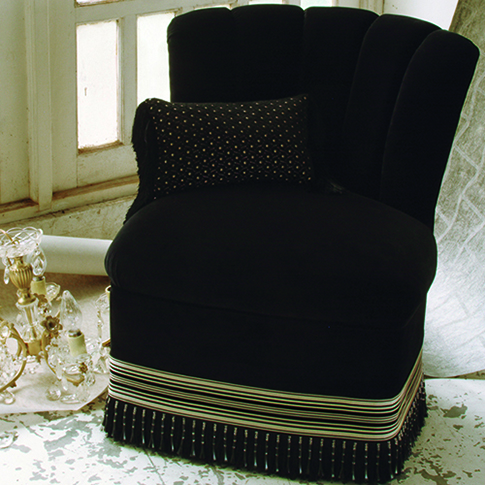 This unique smathering of trimmings include wide patterned tapes, velvet pleated tapes and bobble fringe; a chevron button and lipcording; and silky furniture fringe. Layer pieces for a finished look.